Due to the ease of storage and delivery Retherm only fit wood pellet boilers. These systems have a storage area which contains wood pellets that are automatically fed in to the biomass boiler. The fuel then burns in a very efficient manner and the resulting small amount of ash is removed from an ash bin. The beauty of the modern pellet boiler is it is very self-sufficient and many of the operations are automated. Biomass boilers are ideally suited for domestic or commercial buildings and have the capability to cope with large heat demands. These systems are also idea to integrate with other renewable technologies such as solar thermal. 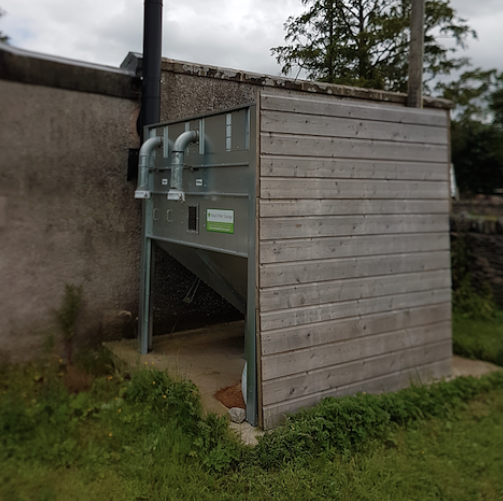 A biomass boiler will integrate with existing heating systems such as radiators and the installation process is very straightforward. Contrary to popular belief the area required to store the fuel need not be large. In fact many smaller boilers have a built in hopper which can be easily fed from bags of pellets. As with our other technologies Retherm can offer the full solution. We can design and supply the pellet store, biomass boiler and our engineers will be on hand to guide you through the whole process.